Car parts for sale, vehicle parts for sale, car accessories for sale ads in Melbourne. Thank you for visiting our free advertising website Car parts for sale, vehicle parts for sale, car accessories for sale, Melbourne section. We provide high response free classifieds and free advertisement. Use our online free Car parts for sale, vehicle parts for sale, car accessories for sale classifieds placement system to find, list, offer Car parts for sale, vehicle parts for sale, car accessories for sale online! Continental Murrumbeena carries out car service of all makes and models to the highest of standards. We also stock a wide range of high quality car tyres & wheels from leading brands, and also provide fitting services to our customers. From general maintenance services to complete overhaul, we offer a complete range of services at appreciated prices. 4x4 Specialists, Mechanical Workshop and Accessory Fitting. With over 20 years’ experience in the 4x4 automotive industry, we cater for all your 4x4 needs. Your one stop 4x4 shop Website	https://ontrack4x4.com.au/ Phone	388041354 Email	info@ontrack4x4.com.au 4 Thomas St, Ferntree Gully VIC 3156. Road Assist - Hire Roadside Response For Car Towing In Melbourne! Needs to tow your car? Looking for a best car towing in Melbourne? Roadside Response's 24/7 on demand towing service will quickly and efficiently get your vehicle to where you need it to be. Our roadside assistance comes with no compulsory membership requirement. If you need a towing company in a hurry you will only pay for the towing service that you need when you need it. A1 Drive Shafts leading supplier of Drive Shafts, Tailshaft & CV joints for all makes & models in Melbourne. Need Repairs or Replacement call 9417 5859. The drive shaft of a car is liable for transferring torque and power from the gearbox to the wheels. A1 Drive Shaft supplies a broad spectrum of drive shafts and other related components for the widest range of vehicles including trucks, vans, cars, buses and other commercial vehicles. Smithies are the Home of Ironman 4x4 Pakenham. Supplying quality 4WD accessories from leading industry brands. We have plenty of products on display in our Showroom and offer accessory fitting, vehicle mechanical & servicing in our Workshop. Website:	http://www.smithiesoutback.com.au/ Address: 2/4 Southeast Blvd, Pakenham, VIC, 3810, Australia Phone:	03 5940 3377 Email:	sales@smithiesoutback. ThinkRace Technology brings you the OBD2 tracker VT200. A device which uses GPS for tracking cars. It is an ideal Tracking Solution to protect your valuable car when you’ve parked it somewhere or when someone else is driving it. The tracker can be easily attached to your car’s OBD Port and can be installed without any assistance from a mechanic or technician. Along with the fuel efficiency and speed, the factors which people give most importance to while buying a new car, are the color and appearance. As we invest a good amount of money, we wish to flaunt our car for long. But, after certain years of use, the color of the car becomes dull, making the vehicle less attractive than before. Online retailer specialising in wheels, wheel packages and accessories to suit European vehicles and other specialised fitments. 100% fitments guarantee. Lifetime structural warranty and Free delivery Australia. Website: https://www.wheeldealer.com.au/ Phone: 1300 791 211 Email: info@wheeldealer. C&E Motor Bodies is a family business that have been working on smash repairs for over 40 years. We specialise in Smash repairs, paintless dent removal, insurance work, not at fault, private work, and prestige vehicles (although we work on all makes and models) -towing is also available. Please call us on 03 9555 3648 to find out more. ThinkRace Technology brings you the VT06, a cheap vehicle GPS Tracking device which is compatible with all kinds of road vehicles. The tracker is equipped with the latest GPS Positioning Technology to keep your wheeled assets safe and secure. Some of the notable features of the device are • Trajectory Analysis • Anti-Theft Alarm • Route and Location History • Geo-Fence To get more information about our dealers, distributors & partners and for placing bulk orders, please contact http://thinkrace. Isn’t the cooling air makes your mood fresh? Yes, the same way air conditioning in the cars makes your journey relief and comfortable. If you are ready to know more tips on AC in your car then we are here for you. Click here to get the info: http://www.aftermarket.com.au/category/auto-air-conditioning/. Professional panel repair center and a recommended repairer for Suncorp but also deals with all major insurance companies Wether small or large repairs Bannockburn Panels deals with them all. Also can do non insurance work and dent less paint repairs is also available. All work fully garneted and loan car available with bookings essential. A family owned business who provides a unique personal service and attention to detail for automotive accident repairs and spray painting, servicing the melbourne metro area. Website: http://soarc.com.au/ Phone: 03 9544 1934 Email: southoakleigharc@gmail.com Address:2/20 Manton Rd, Oakleigh. The drive shaft of a car is liable for transferring torque and power from the gearbox to the wheels. A1 Drive Shaft supplies a broad spectrum of drive shafts and other related components for the widest range of vehicles including trucks, vans, cars, buses and other commercial vehicles. The company has a full-equipped facility to repair, refurbish and modify driveshafts for automotive use. The Jeff Hind Smash Repairs workshop in Brighton specialized in car smash repairs and the professional crew offers fast and efficient services to restore your car body parts and structure. To read more information, click on http://www.jeffhindsmashrepairs.com.au/car-smash-repair/. Hire the CarMechanicLilydale doe your car LPG Services, they provide their best services by using the latest equipment and tools at affordable prices. For more details, please visit http://www.carmechaniclilydale.com.au/lpg-services-melbourne/. Want to change your car LPG system and need installation service? Then visit Mechanic Lilydale, offering excellent LPG conversion and other related car services in a low budget. To contact them, just visit the link http://www.carmechaniclilydale.com.au/lpg-installation-melbourne/. Find the right Michelin tyres online for your vehicle at Car Tyres & You. Michelin tyres ensure grip, traction, comfort and longevity. These tyres are the best style statement for your vehicles in Melbourne. With our value added tyre services, we ensure 100% customer satisfaction with tyre sold. Buy Online and avail Lifetime Puncture Repair Guarantee now!. We are the home of the lifetime puncture repair guarantee that is any tyre you buy from us will have free punctures repairs for the life of the tyre.. The Moorabin’s affordable workshop Jeff HindSmashRepairs is having many years of industry experience in car smash repairs. To hire their services, please visit http://www.jeffhindsmashrepairs.com.au/car-smash-repair/. Jeffhind Smash Repairs has over year of experience in providing excellent panel beater services by using innovative and professional methods in Brighton at reliable prices. http://www.jeffhindsmashrepairs.com.au/panel-beating-service/. The famous workshop Hitech Exhaust is offering the best quality Mufflers for your vehicle for reasonable prices. To get more details, please visit http://www.hitechexhaust.com.au/services/muffler-and-exhaust-services/. Vic Off Road is a Australian online store for all goods relating to LED's, HID's and lighting products for Trucks, 4x4's and Utes ensuring the absolute highest of quality for your off-roading activities. We are 100% based online providing you the best value for your time and money. Please contact us on (03) 9360 0501 for any inquiries. Are you looking for good quality and high performing tyres in Melbourne? Dunlop is one of the most trusted brands & first tyre manufacturers in Australia. 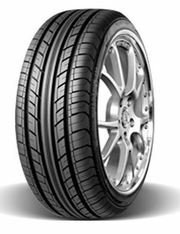 Car tyres & you is one of the online stores in Melbourne, offering you a wide range of Dunlop tyres in Melbourne. 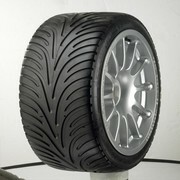 We offering you the best tyres at the most affordable rates. Buying Car Tyres in Melbourne? Buy 3 Get 1 Free online! What about buying car tyre online at local prices? 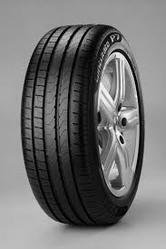 Car Tyres & You has the widest range of tyres online. You just choose the suitable size of the tyre and we deliver it to your door steps. Same day fitment service and Lifetime Puncture Repair Guarantee with every tyre sold. Call us on (03) 9572 2144 for more details. Are you looking for cheap Goodyear Tyres from a certified dealer in Melbourne? Car Tyres & You is bringing a great range from Goodyear, one of the world’s largest tyre companies. Available in Carnegie, Keilor Park and Ormond, we strive to provide the best of tyres to all our customers. Additionally, we provide Lifetime Puncture Repair Guarantee with every tyre sold. Looking for Malvern Tyres? 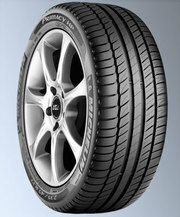 Car Tyres & You should be your ideal destination for your Malvern tyres shopping. We are based at the most accessible location and offer the best of highly competitive prices with discounts on online rates. For details, contact us on (03) 9572 2144..
Australia free ads for Car parts for sale, vehicle parts for sale, car accessories for sale, Melbourne, Car parts for sale, vehicle parts for sale, car accessories for sale free ads Melbourne, Car parts for sale, vehicle parts for sale, car accessories for sale for sale Melbourne, Car parts for sale, vehicle parts for sale, car accessories for sale to buy in Melbourne. Find on this page free classifieds for Car parts for sale, vehicle parts for sale, car accessories for sale in Melbourne. This listing includes classifieds for sale and to buy in Melbourne. FREEADSAustralia Melbourne offers you a platform to post free advertisements or classifieds for Car parts for sale, vehicle parts for sale, car accessories for sale in Melbourne. FREEADSAustralia helps you search, find buy, sell, rent or hire in various categories like apartments, goods for sale, local services, cars , jobs and many more in Melbourne. If you posted an advertisement in category Car parts for sale, vehicle parts for sale, car accessories for sale of FREEADSAustralia Melbourne before please use Edit my ads button to change or cancel your ad. Car parts for sale, vehicle parts for sale, car accessories for sale Melbourne ads Melbourne, Car parts for sale, vehicle parts for sale, car accessories for sale classifieds Melbourne, Car parts for sale, vehicle parts for sale, car accessories for sale free ads Melbourne, ads for sale Melbourne, ads to buy Melbourne, FREEADSAustralia Page number 4-1. Find here ads for sale, to buy and rent in Melbourne. Goods for sale in Melbourne, vehicles for sale in Melbourne, Melbourne real estate for sale, Melbourne property for sale, property for rent in Melbourne, business ads in Melbourne, Melbourne business classifieds, services in Melbourne, Melbourne services ads, jobs in Melbourne, pets for sale in Melbourne, Melbourne dating, Melbourne cars for sale.